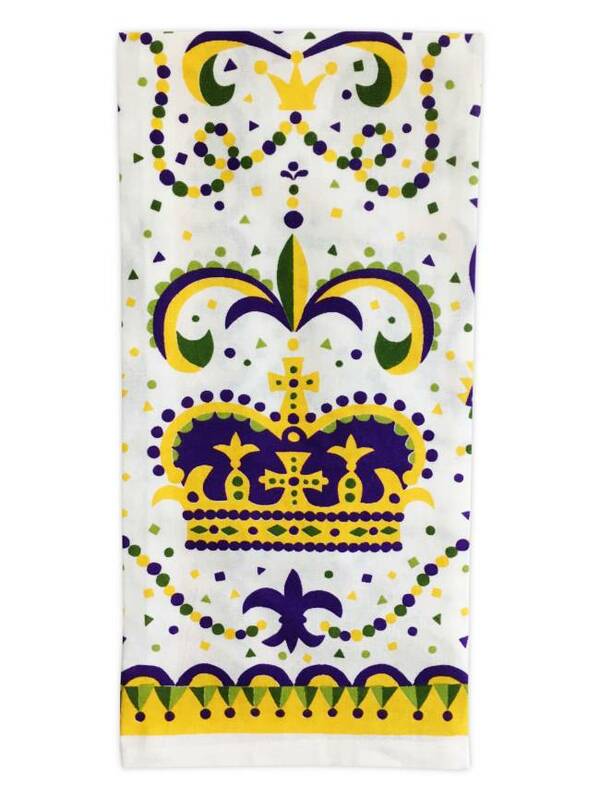 100% cotton towel with a Mardi Gras theme. 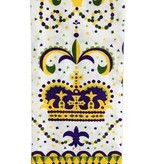 Size is 17 inches by 25.5 inches. Corner loop for easy hanging.